You must be a member of the London Pubs Group to attend this activity. Would you like to join this group? 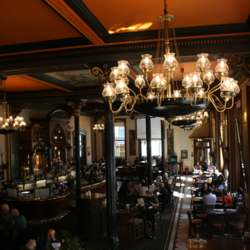 Let's have a drink at that historical pub. This pub is the former Union Bank, and takes its name from the order of Warrior Knights across whose land Chancery Lane was built in the 12th century. It is named after an ancient order of Warrior Monks – Protected content which features heavily in The Da Vinci Code. If you look really carefully, during the scene featuring Middle Temple Church, you may spot this pub. Once inside, I will let you know where we are located.